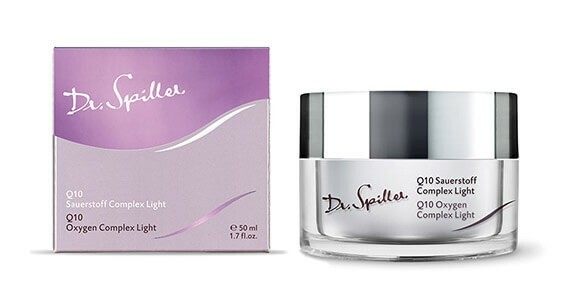 Q10 Oxygen Complex Light infuses tired skin cells with new energy 24 hours a day. The Light version is ideal for combination skin and also well suited for moisture-deficient skin in the summer. The skin is provided with everything it needs to restore its ideal moisture balance. The active ingredient Q10 helps prevent stress-related skin aging. An activating Oxygen Carrier and soothing Aloe Vera are the perfect complement for a youthful complexion and enhanced well-being. Apply Oxygen Vital Serum or Oxygen Vital Complex to face, neck and décolleté morning and evening after cleansing. Follow with Q10 Oxygen Complex Light.